Bridal Party Gifts, Groomsmen's Gifts, Father & Mother of the Bride and Groom. Flower girl & ringbearer sizes also available. Let us know how many belt and buckle sets you need, we will send you an custom order including exact shipping. 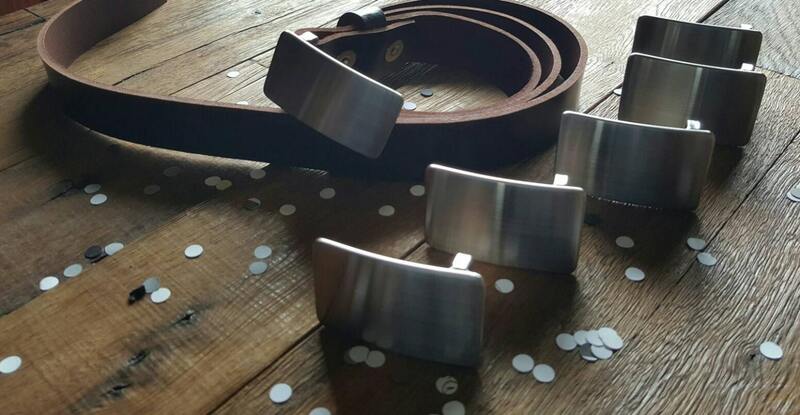 Brushed Stainless Steel Buckle photographed on mahogany leather belt with snaps making changing buckles easy. Velvet black bag or beige burlap bag included with each buckle. Please make your choice at the time of purchase. 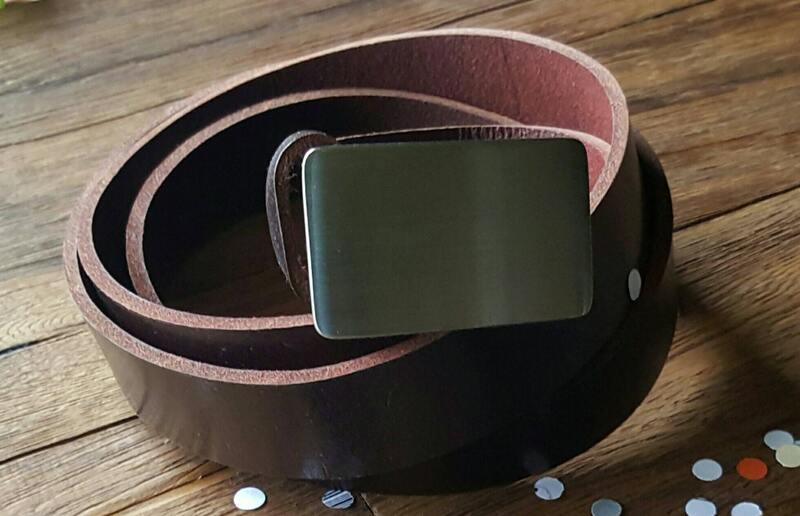 Buckle measures 21/4" x 1-1/2" and comes with 1-1/4" Mahogany leather belt. Brown, black, fawn brown, distressed & mahogany full grain buffalo leather. 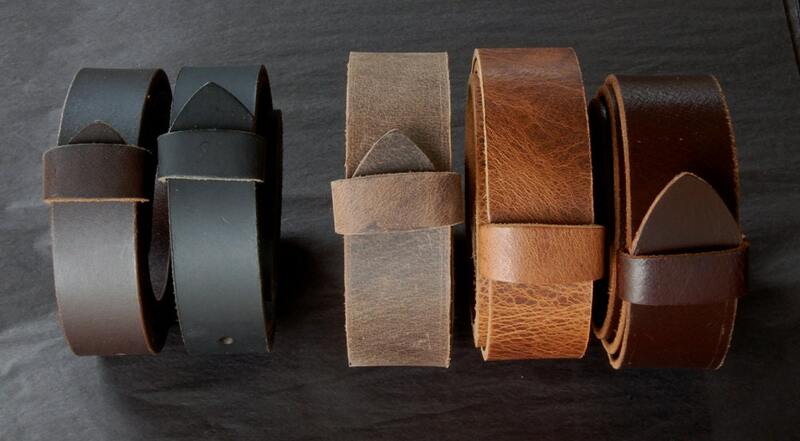 Full Grain Leather Belt will be custom cut to your waist size. 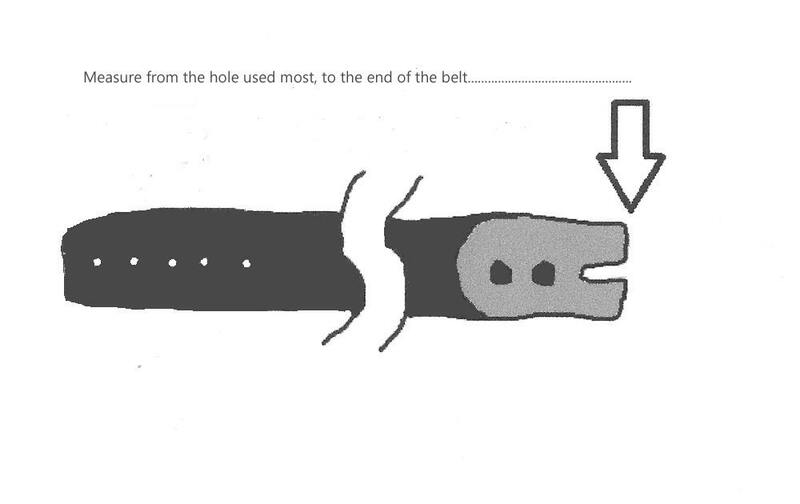 Please send us your waist measurement or measure an existing belt as in the "how to" sketch attached to this listing(don't include the buckle in your measurement). Please let us know what measurement you are sending: waist or existing belt. Thanks!